Kids are Born To Move! Kids are born to move! So how can you encourage this need to move in a safe environment? From the moment children learn how to work their feet, they’re off and running…..and jumping, sliding, tossing and catching. It’s no wonder they often gravitate toward sports from a very early age. Not to mention, multiple studies have shown a positive correlation between playing sports and a child’s health, school performance and overall well being. So what do we need to encourage? Physical activity is about active play and having the opportunity to move about and explore their environment. We need to encourage children to try a range of activities including obstacle courses (for walkers, crawlers or shufflers! ), tips, hide and seek, dancing and skipping. Practice activities like catching, kicking or throwing, but remember, slower paced activities such as puzzles, painting, water play, singing or craft are just as important and can include different ways to move as well. It is a know fact however that children tend to be active when outdoors over indoors, so going outside is a great strategy for increasing physical activity. There is also plenty of research around the emotional and social wellbeing of spending 3 hours outdoor play throughout the day. When outside children will engage in physical activity of varying intensities – from light-intensity movement ie. Slow walking (usually between activities) to quite vigorous running and jumping when playing with others or given a variety of games to play. So how do we make activities safe? Use structure – its a know fact children learn best through play so creating a play environment in which adults have set up and risks already observed will go that step further to ensure safe play. Create a challenge- using vocabulary like- how many times can you, how quick can you, how far, how long and how high. A simple movement like jumping can be created into 101 games. 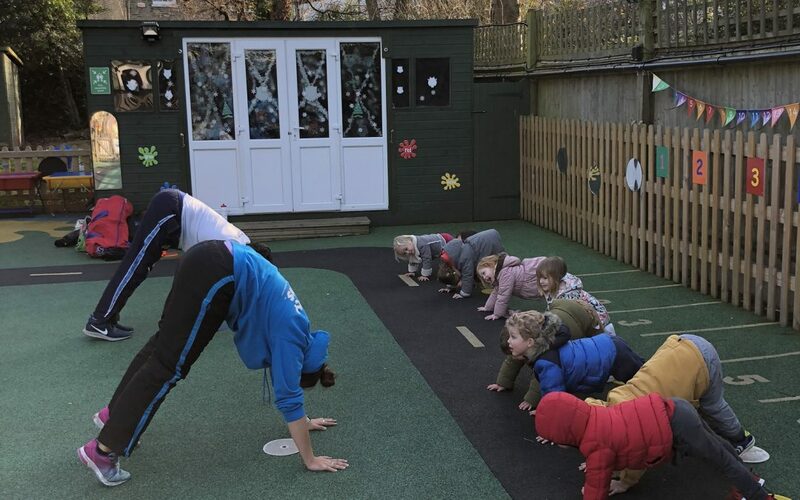 Demonstrate and discuss the risks – Monkey see monkey do– Demonstrating safe ways to move and play and talking through risks early is a great way to get ahead. 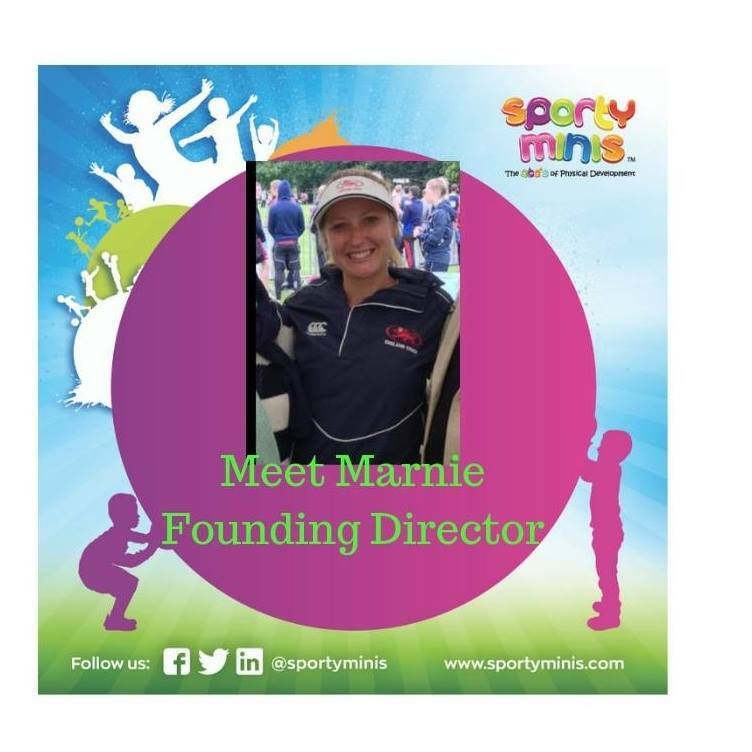 Our sportyminis coaches love the demonstration part of their sessions and always say its the best fun the children have as well. Join in and have fun – when in the mix of the activities with children you can anticipate any risks before they come about, this is not to say that you have to be joining in for the whole time, just the start and at some point during the play time to allow for progression and refocus for the children. My last thought here is after watching my daughter constantly stand on a block and step off only to fall on her face, but she loved it! Going back for more and more lasting almost 10 minutes. Children will naturally challenge themselves and want to fall and get back up again so let’s give them this opportunity , after all that’s what happens in life we get knocked down and have to get up again all the time. As always I love to share our sportyminis physical development activities so here are my favourites right now. Stay warm races- Place markers at least 10 m apart and have children start down one end behind a cone. Race 5- Running to other end, stop at the cones turn around and run back. So, what are Fundamental Movement Skills?